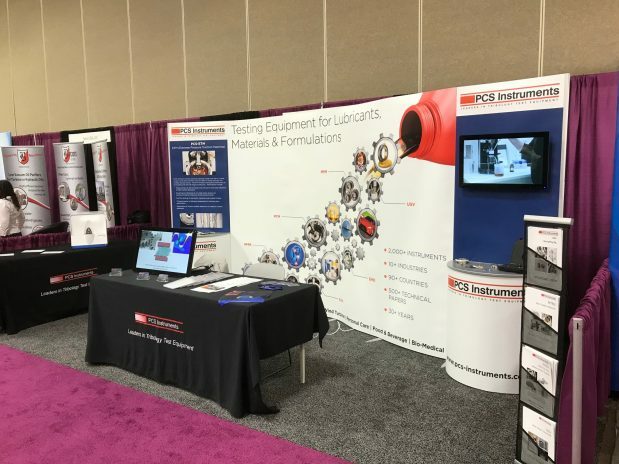 This year we brought our new instrument the PCS Extreme Pressure Traction Machine (PCS-ETM) to the annual STLE meeting in Minneapolis. To complement its new sleek contemporary design we freshened up our exhibition material to include a new stand design, touch screen monitors to display our new and existing products and company videos along with a range of exciting new merchandise. We were also fortunate to be placed in a busy spot near the hall entrance. 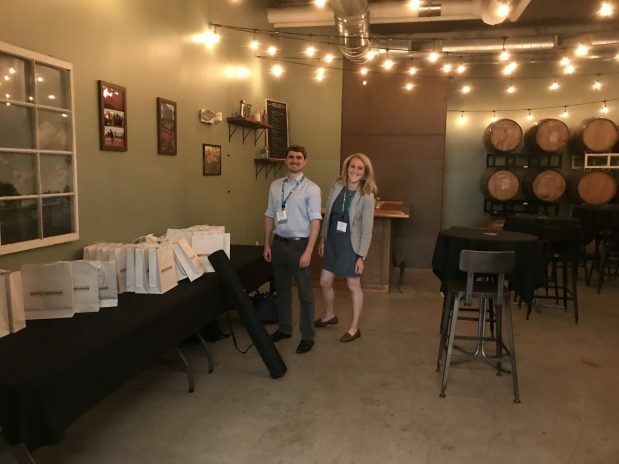 After setting up bright and early on Monday morning there was a long list of technical presentations we were excited to attend from a range of our customers including Afton Chemicals, South West Research and Imperial College. The first exhibition hour brought in a heavy foot fall to the hall with lots of familiar faces stopping by to catch up and new acquaintances interested in the ETM. We received a lot of positive feedback which has already been passed on internally. The afternoon sessions were just as interesting with talks from Chevron, Ford Motor Company and SKF presenting thought provoking results using the MTM and MPR. By the time the evening reception arrived we were ready for some light refreshments and networking and as usual it did not disappoint. The following day continued in a similar vein, with talks by Rolls Royce and two very well received talks from Imperial College; the first one by Professor Hugh Spikes who presented results on the new PCS-ETM and the second from Dr Marc Masen displaying results from the our new BTM (Bio-Tribology Machine) – researching alternatives for damaged tissue caused by osteoarthritis. In the evening we held a very special event to launch the ETM in true PCS style at the Lakes and Legends Brewery. 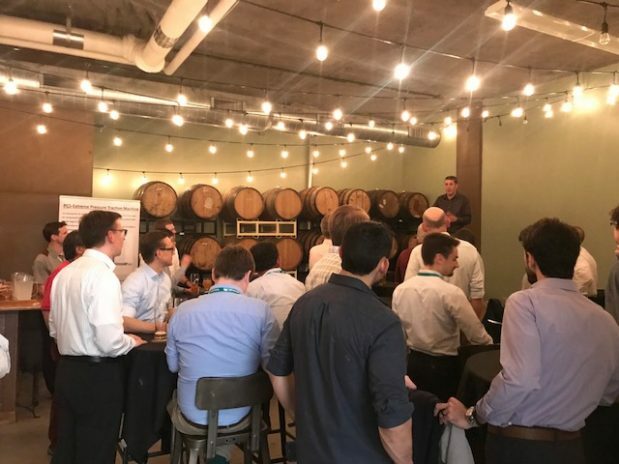 Approximately 50 of existing and (potentially) future customers attended the event in an exclusive private room inside the brewery where we celebrated with local craft ales and Mexican snacks whilst giving everyone an opportunity to discuss their own research challenges and provide advice in a casual setting. 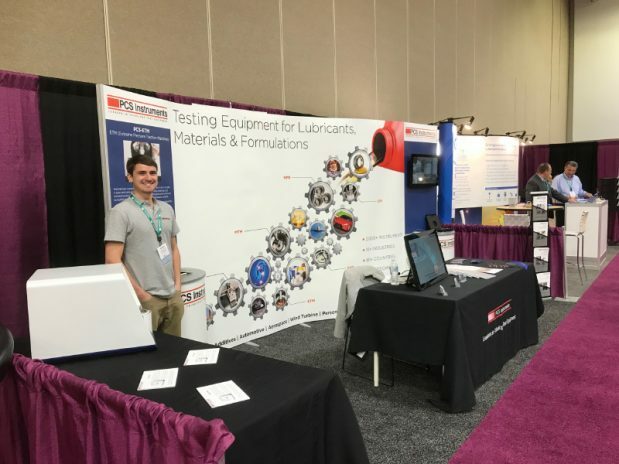 Following the end of the exhibition on Wednesday lunchtime, we were free to attend more talks on research performed using our equipment presented by our customers including NYE Lubricants, Croda and Argonne National Laboratory which all included interesting data. Find a full list of presentations given using PCS equipment here, if there is any presentations you would like to receive in full please let us know and we can try our best to source them for you.